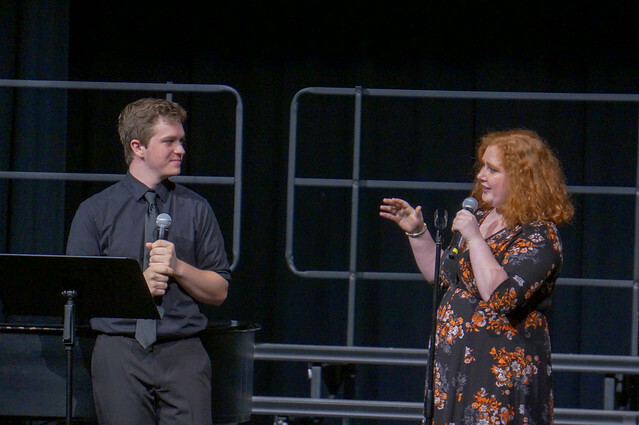 I'm proud to share the recording of my son, Dylan Hoppel, and his fellow KM Perform senior Joy Bartoli performing their portfolio project in the auditorium on May 29, 2018. They were accompanied on the piano by Jennifer Schwingle and Todd Jaeger, and were joined on one song by Chambers Singers. Enjoy the show!